Home » Could Bacteria Fuel The Future? Could Bacteria Fuel The Future? A group of bacteria best known for causing stomach trouble could also be a source of sustainable energy. The U.S. Department of Energy has awarded Eleftherios (Terry) Papoutsakis a three-year, $1.5 million grant to study the production of clostridium bacteria as platforms for biofuels. 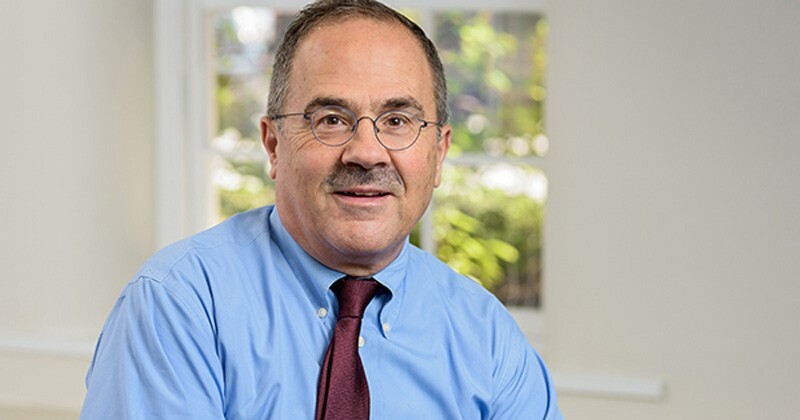 Papoutsakis, the Unidel Eugene du Pont Chair of Chemical and Biomolecular Engineering at the University of Delaware, will uncover fundamental insights about metabolism and environmental signaling in these microbes for use to produce fuels from renewable resources. Papoutsakis has been studying clostridium bacteria for more than four decades. He was elected to theNational Academy of Engineering in 2018 in part for his work with these microbes. Clostridia are anaerobic bacteria that can be found in many environments that lack oxygen, from soil to parts of the human body. As these bacteria digest their food, which includes carbohydrates, proteins and many other molecules, they produce compounds such as butanol, acetone and ethanol, which are useful to makers of industrial chemicals and biofuels. Over the past few years, Papoutsakis has been utilizing unique combinations of bacteria to optimize this mix of metabolites. “The idea is that you have a consortium of organisms that interact syntrophically, which means that one or more of them depends on the others to exist, so you create a stable consortium in nature to be able to do things that no one alone can do,” he said. When multiple microbes are strategically combined, many additional new chemical reactions occur when they combine their metabolic capabilities. With this new grant, Papoutsakis and his team will study and optimize three new systems and study how the bacteria survive, multiply, send out signals and metabolize food. They will use a variety of experimental techniques such as flow-cytometry, time-lapse microscopy and polymerase chain reaction analysis. Maciek Antoniewicz, the Centennial Professor of Chemical and Biomolecular Engineering at UD, and Costas Maranas, the Donald B. Broughton Professor of Chemical Engineering at Penn State University, will collaborate with Papoutsakis on this project. Antoniewicz brings expertise in 13C metabolic flux analysis, a technique that takes snapshots of the metabolism inside bacterial cells. Maranas brings expertise in computational biology, modeling and studying metabolism at the genome scale. Graduate and undergraduate students will also contribute to the research endeavor. As the researchers study the fundamental biology of consortia, they aim to figure out which mixes of bacteria can best be used to digest waste material and renewable biomass, such as scrap wood, and convert them into useful chemicals and fuel molecules. Often in the biotechnology industry, scientists use a single type of bacteria for fermentation. The ultimate goal is to create fuel in a more sustainable way, said Papoutsakis. The team is focused on applying their work to production of value-added chemicals and fuels from renewable resources and waste materials. However, it’s also plausible that their work could have far-reaching effects, even into human health. This is also a growing field at UD.